"In addition to bidders traveling to Fontainebleau to attend the auction in person, we’re pleased to give online bidders, both in France and in other parts of the world, the opportunity to participate in what is sure to be a historic sale." BOSTON--(BUSINESS WIRE)--Invaluable, the world’s leading marketplace for fine art, antiques and collectibles, and Osenat, the Fontainebleau, France-based auction house, announced today that they are partnering to offer online bidding on The Christopher Forbes Collection. Featuring the private collection of Christopher Forbes, Vice-Chairman of Forbes publishing company, the auction will offer works of art, pictures, sculptures, manuscripts, photographs and historical artifacts from the Second Empire, including many items associated with Napoleon III. The two-day auction will take place on March 5, 2016, starting at 2:00pm CET and on March 6, 2016, starting at 11:00am CET. Bidders can view the full catalog on Invaluable, and bid live online in real-time during auction on Invaluable.com or through the company’s mobile app. Christopher Forbes has been passionate about France and its history – above all Napoleon III and the Second Empire – ever since his father gave him a portrait of Napoleon III when he was a teenager, and has traveled the world in search of Napoleonic items. 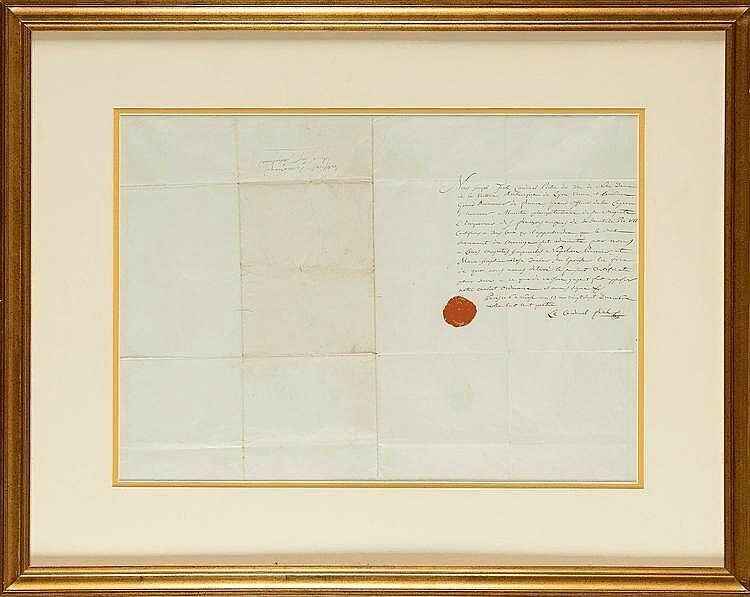 Headlining the auction is the 1804 Religious Wedding Certificate of Emperor Napoleon I & Empress Josephine (estimated at €30,000 - €40,000). The certificate is signed by Cardinal Joseph Fresch, who presided over the secret religious wedding, which took place eight years after the couple’s civil marriage. Important paintings and drawings being offered as part of the auction include The Emperor Napoleon III and Empress Eugénie, Franz Xaver Winterhalter (after) (estimated at €60,000 - €80,000), Emperor Napoleon II with Prince Jérôme acclaimed by the crowd as they receive the Gendarmerie Mobile – Place de la Concorde, 2 December 1851 by Victor de Jonquières (estimated at €30,000 - €40,000) and Emperor Napoleon III In His Study by Jean-Hippolyte Flandrin (estimated at €20,000 - €30,000). Additional noteworthy pieces include Portrait of Louis Bonaparte as Prince of France & Constable of the Empire from the studio of Baron Gerard (estimated at €8,000 - €12,000) and the drawing Napoleon III & His Marshals by Edgar Degas (estimated at €25,000 - €30,000), along with a Rare Court Suit worm by The Emperor Napoleon III (estimated at €6,000 - €8,000) and a Rectangular Box with a Chiseled Edge decorated with the letter N (estimated at €15,000 - €20,000). 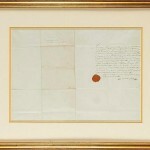 Also included in the auction are a number of sculptures, historical souvenirs of Emperor Napoleon III, Empress Eugénie and the Prince Impérial; literary works personally owned by Napoleon III, Empress Eugénie and the Prince Impérial; manuscripts and letters illustrating the story of the Bonaparte family, along with coins, medals and more. 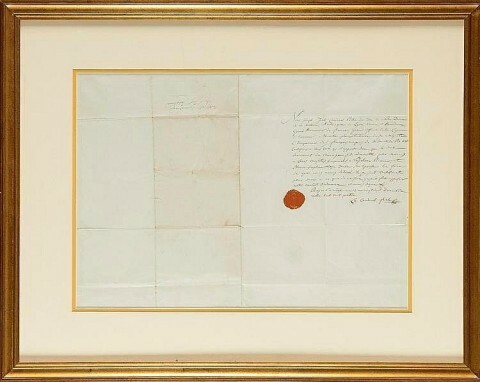 Prior to this auction, Osenat previously sold Napoleon’s saber for €5 million, a letter in Napoleon’s hand for €187,000 and Napoleon’s hat for a record price of €1.88 million. For more information and to register for online bidding for The Christopher Forbes Collection, please visit www.Invaluable.com. Invaluable, the world’s leading online marketplace for fine art, antiques and collectibles, features a live online bidding platform that allows collectors and dealers to bid in real-time in auctions held around the world. As the leading developer of SaaS and e-commerce applications for the auction industry, Invaluable provides auction houses with e-commerce and marketing solutions, as well as auction management software. Invaluable’s best-in-class historical price database includes more than 58 million complete auction results, totaling more than $204 billion in value. Founded in 1989 and headquartered in Boston, Invaluable also has offices in the United Kingdom, France, Germany, Australia and Belgium. For more information, visit www.Invaluable.com or follow us on Twitter: @InvaluableLive. Established in 1815, Osenat is located in Fontainebleau and also has an office in Paris. Osenat auctions period and fine art, vintage cars, estate quality jewelry, antique furnishings and specializes in Napoleonic sales. The list is exhaustive, and includes items and artifacts from around the world. Recent, notable sales include the Gold Sword of Bravery for the Cross of St. Georges, engraved in the figure of the Tsar Knob, for €190,000, and a rare bronze eagle flag model, for €85,000, both from the Napoleonic Collection of the Prince's Palace of Monaco; a blue chalcedony ring, for €41,000; and a 1965 Alfa Romeo 1600 SS, for €97,000. For more information, visit www.osenat.com.